It is no secret that Pink Floyd’s 1973 epic Dark Side of the Moon is likely one of the best rock albums ever written. A sonic landscape that discovered band members Gilmour, Waters, Mason and Richard Wright plumbing the depths of their creative skills to fearlessly explore the topics of conflict, greed, the passage of time, and mental sickness, Dark Side of the Moon is an album that when stripped down to its bare bones nonetheless remains an absolute wonder to behold – so it is not much of a surprise that Gilmour’s choice to go unplugged for one of the album’s key tracks yielded a gorgeous, fresh take on a track we’d already long since fallen in love with. 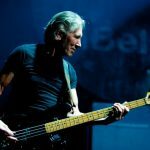 Fun Fact: With an estimated 45 million copies sold, Dark Side of the Moon is Pink Floyd’s most commercially successful album and one of the best-selling worldwide. 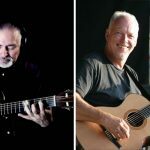 The second song off of Dark Side of the Moon, “Breathe” gets an acoustic update from David Gilmour and thanks to the audio located just under this text, we finally get to hear all of it; David Gilmour’s complex chord progressions, the little nuances that give it its atmospheric qualities – we even get to totally focus on “Breathe” as a living, breathing story as opposed to solely appreciating it as a track. 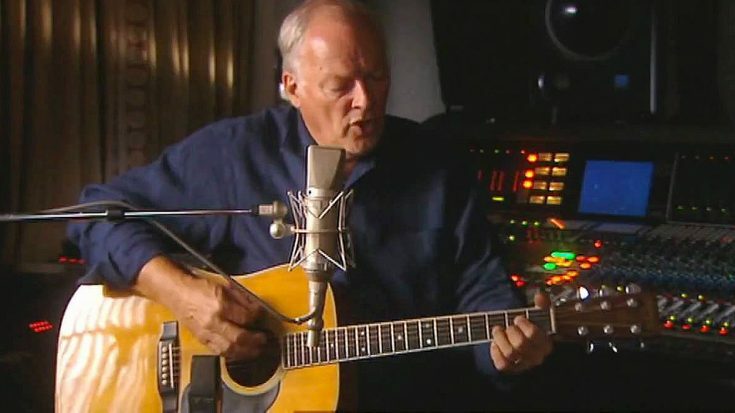 Any musician can transpose their own work into an acoustic piece, however it takes an artist to reinvent it and find new and exciting ways to bring their work to you in a way that’s each bit as exciting the second time round as it was the first, and David Gilmour succeeds in spades.